When it comes to AV in the command & control market, it’s too important to fail. That’s why NEC takes pride in its experience and strategic partnerships. Command and control room vignette at NEC Briefing Center. There are display systems that announce information that is valuable and might pique the interest of passers-by, and then there are mission-critical display solutions that must convey urgent messages with impeccable image and color quality to keen and watchful eyes, and they must do it 24 hours a day, seven days a week for — well, just about forever. These displays can’t fade and they can’t fail. Imagine the control room of a gas company, with monitors showing the intricate network of pipelines in their network. “It is critical in this type of environment that all information be displayed clearly and in the most accurate way possible,” says Christopher Feldman, product manager for NEC Display Solutions of America. Not being able to distinguish lines is not an option for this gas company, for the security of their pipes and the safety of their customers. 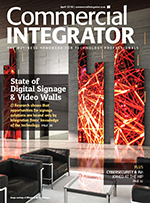 And still, somehow, integration customers with high-stake needs end up with consumer displays mounted on professional chassis — solutions that look good when the job is done, but have short lifespans and don’t stack up to the job at hand. “NEC’s display products offer industry leading color performance combined with proven reliability,” Feldman says. “With NEC’s display wall calibrator tool, we have the ability to uniformly set the color space of the displays, and store that profile. That adaptability and long-term dependability combined with the modular nature of NEC’s offerings, and their compatibility with industry-leading processors like RGB Spectrum or tvONE, provide integrators with diverse solutions that help address their command and control clients’ high-stakes needs. The modular nature of NEC’s displays makes them easily configurable into a variety of inputs, and provides redundancy for its systems. That means command-control clients won’t be left in the lurch if a system does fail. The modular nature of NEC’s displays makes them easily configurable into a variety of inputs, and provides redundancy for its systems. That means command-control clients won’t be left in the lurch if a system does fail. “Any system is only as reliable as its weakest component. NEC relies on partnerships with other solutions providers to offer this type of mission-critical solution to its end users. “In the command and control space, partnerships are everything,” Feldman says. ‘These partnerships help ensure that the final product is the best one for the application. “In the command and control space, partnerships are everything,” Feldman says. Innovations in the command-control space may happen more slowly in this market than others, precisely because the importance of the tasks these products are used for require they be tried, tested and true, beyond a shadow of a doubt by the time they hit the market. But that doesn’t mean NEC Display isn’t constantly working on the next big thing — and usually with specific customer input in mind. 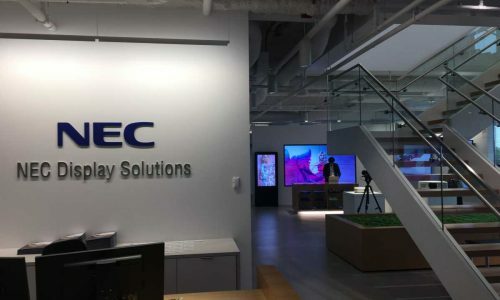 That’s because NEC’s familiarity with the needs of its customers is a two-way street, and there is a steady stream of feedback that swims upstream to NEC’s engineers, shaping the company’s upcoming offerings. “We are always listening to feedback and ideas from our customers, including what is working and what can be improved. When we have our design meetings in Japan, we try to incorporate those ideas and improvements into future products and solutions,” Feldman says.